New Crib Sets from New Arrivals Inc. The Australian version of Lonny Magazine, Adore, just released their newest issue this week. 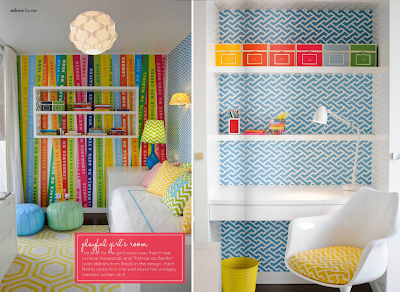 Since they are coming up on Summer the issue is full of inspiring bright and energetic interiors. 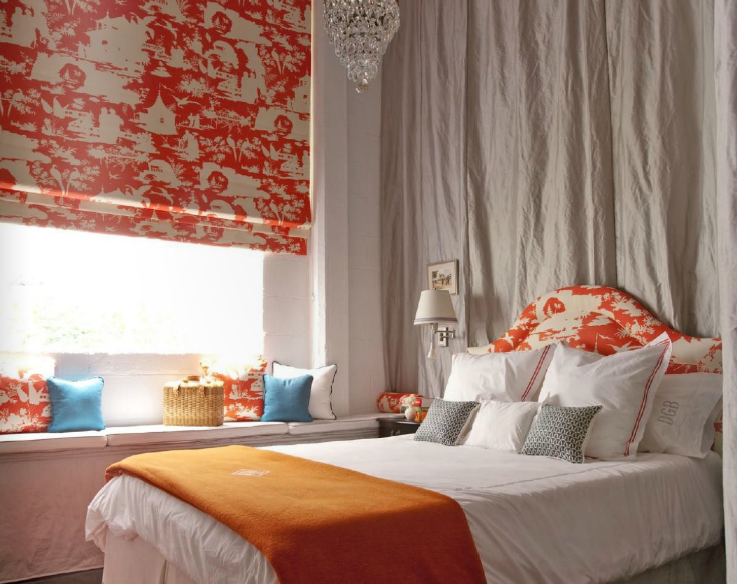 It seemed like the fabric house of Quadrille was all over this issue. 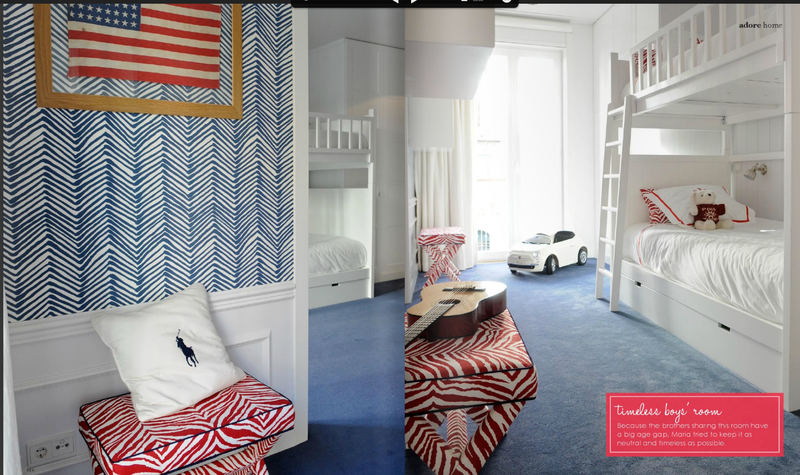 Both rooms featured elegant wallpaper - China Seas Aga Reverse in the girl's room and Allan Campbell Zig Zag in the boy's room. 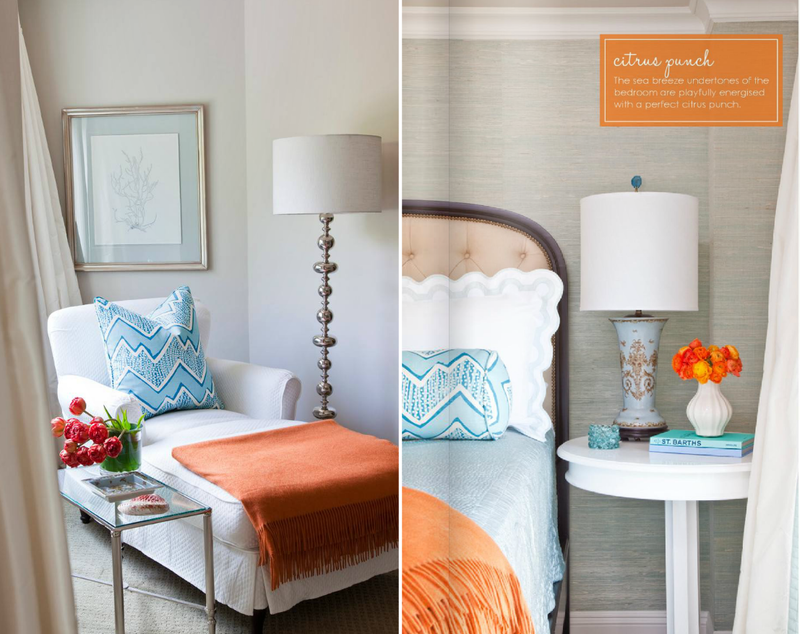 And the pretty bedroom below designed by LA designer Emily Ruddo also uses some Allan Campbell Montecito on the pillows. 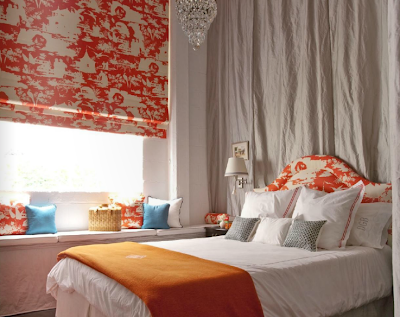 Diane Bergeron uses it again above on the roman shades and headboard. Then designer Emily Ruddo uses one of my favorites Allan Campbell Montecito below on some decorative pillows. If you have some time, definitely check out the issue this week! 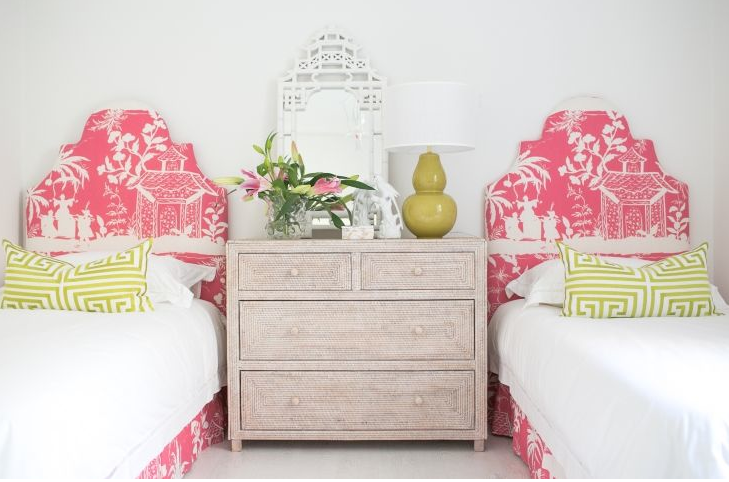 Love the Maria Barros' girls room. 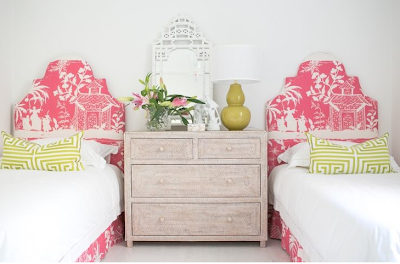 The kids bunk bed is very beautiful in the Maria Barros' children's room! It is wide and the top bunk is high. White bunk bed and other pieces of furniture make the room look larger and go very well with blue walls and bright, colorful accents. Really liked this interior. I'm keen on custom made clutches like Gucci, Prada, Guru, for example. The one dilemma is usually fake breitling i always can’t delight in many model clutches since you also learn, model clutches typically price tag considerably. Without a doubt When i can’t have the funds for a great number of LV, Gucci in addition to Guru. Would When i surrender definitely the clutches? Not any! Easily I stumbled upon methods to gucci replica please the need to have custom made clutches. I bought many trusted on the net manufacturers intended for imitation clutches. Before you start, I just now required to get a look at. As i wandered with tag heuer replica most of these internet websites in addition to discovered quite a few well-designed imitation clutches, like Gucci tote, Chanel tote, for example. When i seemed to be fascinated by means of chanel replica most of these clutches in addition to couldn’t guide getting some sort of imitation tote to get a look at. In the future When i seemed to be fully pleased basic imitation clutches. The coffee quality in addition to burberry replica pattern usually are great. As i bought the imitation carriers to figure, not anyone located them to were being these reproductions.